As 2018 draws to a close, I reflect on what will be remembered as an emotional and transitional year. I’m encouraged that we have weathered a challenging year that began with sadness and is ending with optimism. In March, after losing our beloved co-founder, Steve Elkins, the staff, led by co-founder and Interim Executive Director Murray Archibald and the Board of Directors have worked together to establish a new normal, keeping the ship afloat in what could have been a very difficult period. In a year that saw record numbers for Sundance, drew record crowds for both Women’s FEST in the spring and the Block Party in the fall, and increased membership by nearly 80 members (a 9% increase over 2017), we can all look back and know that Steve would be proud of us. In October the Board held its annual retreat, a full-day typically used to review year-to-date activities, assess how we’re meeting goals, and plan for the upcoming year. This year’s retreat had a different focus: our strategic planning initiative. Building on cumulative feedback from various focus groups, a staffing report, and the community discussion held in September, our consultant, Sheila Bravo, CEO and president of the Delaware Alliance for Nonprofit Advancement (DANA), led the majority of the retreat. We looked at all that we do and how we can keep doing it efficiently, plus revisited CAMP Rehoboth’s vision and mission. We offered many points of view and shared ideas throughout the day. And we left feeling energized, focused, and with a roadmap for a plan to assure our successful future. Discussions from the retreat will now be used by the long range planning team and DANA to create an extensive survey to get additional feedback from the broader community. These findings will weigh heavily in the overall planning effort and assist us in identifying a clear plan for the future. Another thing undertaken by the board and staff this fall has been an evaluation of CAMP Rehoboth’s current business model. Once again, at the direction of DANA, this review allowed us to better understand the resources we need, our strengths as an organization, and how various program areas support our mission and financial sustainability. Looking at the business side of our programs helps inform our strategic planning by identifying areas where profitability may need improvement and to consider programming priorities. Next, we will shift our focus to establishing a timeline into 2019 for the executive transition, based on results from a comprehensive staffing analysis that was completed over the past few months by Sondra Arkin. With a timeline in place, a search committee will be named, as well as a transition team, to assist in making the overall process as smooth as possible. This is an incredibly important phase for CAMP Rehoboth and, as I’ve said before, I am completely confident in the staff, the Board of Directors, and in all of you to collectively see this organization we care about so deeply head into our next chapter stronger than ever. 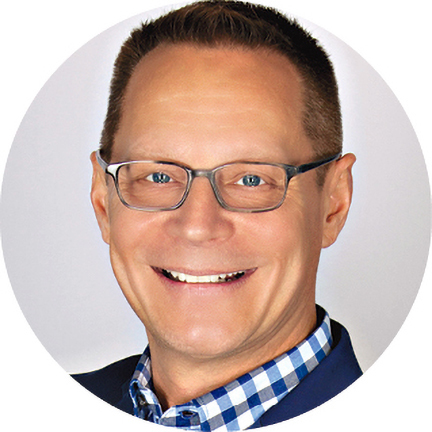 Chris Beagle is President of the CAMP Rehoboth Board of Directors and is a realtor at Berkshire Hathaway - Gallo Realty in Rehoboth Beach.